Bardstown is called the “Bourbon Capital of the World.” It was the home of some of bourbon’s most famous families. On this tour, you'll chat about four of these families that were integral to the growth of bourbon in the area. First up for discussion will be the Willett family and with a visit to the Willett Distillery. Next, the Mattingly and Moore families who led to development of Barton 1792. Finally, the tour will follow the eight generations of the Samuel’s family and visit the beautiful Maker’s Mark Distillery. 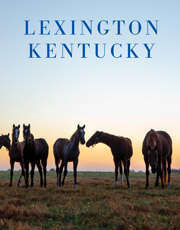 Pickup will be at the Pepper Distillery in Lexington. The tour will be approximately 8hrs long. Price includes tours and tastings at all three distilleries. A Kentucky Proud lunch will also be included. Water and snacks will be provided.